The tavern Ta Fanaria can accommodate all kinds of social events, at all hours of the day. Our tasteful and welcoming space is ideal for any event at any time of year, and the menu we offer (upon request) is sure to satisfy even the most discerning palates. We conduct weddings, christenings and gatherings, to ensure the ultimate success of your event. 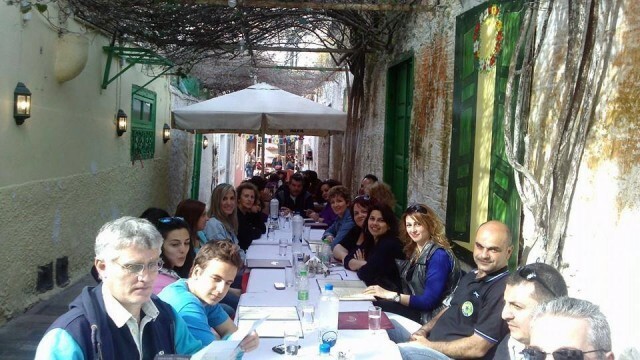 Ta Fanaria also host all sorts of events and meals for tourist groups. Come and savour our unique Greek flavours and experience our unique Greek hospitality. Enjoy our excellent service in your own language, by the friendliest staff!